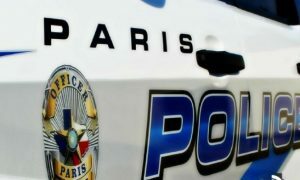 Paris Police responded to the 3200-block of NE Loop 286 Monday morning about a theft. Reportedly, around 1:30 am someone stole the factory wheels and tires off of a 2012 Chevrolet pick-up and left the vehicle sitting on the ground. The complainant estimated the value of the items at $1,500. Around 4:30 Monday morning officers received a criminal mischief complaint in the 2000-block of Simpson. Allegedly, an unknown person broke a window and poured white paint on the inside and outside of a 2016 Land Rover. Some money was also taken from inside the vehicle. The estimated damage was over $2,500. The investigation continues. Paris Police responded to 55 calls for service and arrested three people on Monday (Nov 12). Next Could You Deliver 900 Million Packages?